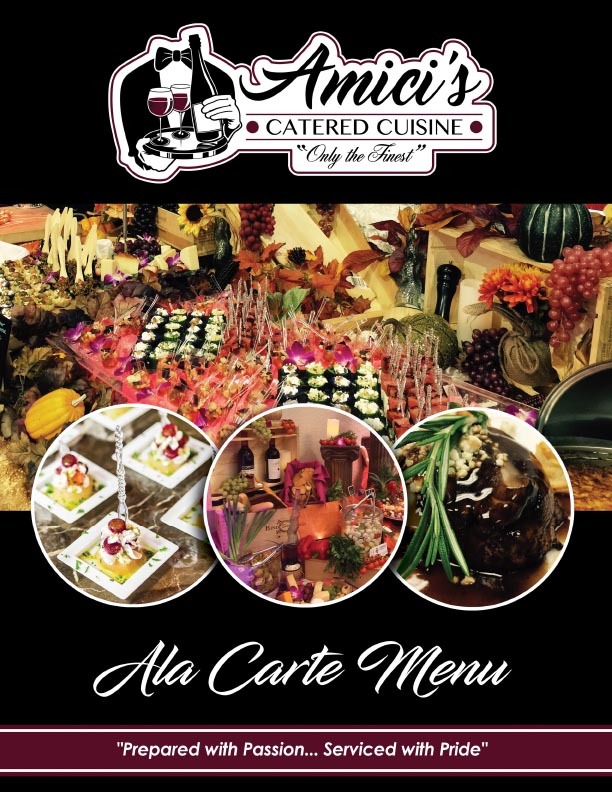 Menu Items | St. Petersburg Catering | AmicisCatering.com | Amici's Catered Cuisine, Inc.
Feed your appetite with help from Amici's Catered Cuisine. 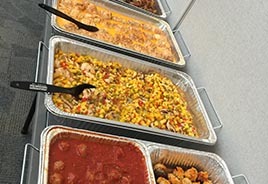 Our St. Petersburg catering is equipped to handle events of all sizes and scopes. 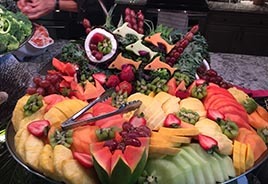 We are proud to serve our clients with delicious menu items that range from hors-d'oeuvres, salads, entrees, sides, and desserts. Whether you are interested in celebrating your employees with our corporate catering in Tampa or you wish to have your wedding catered with our team, we are happy to be a part of your event. 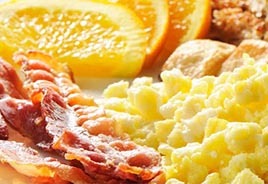 We offer many different menu items and packages to better serve our guests. 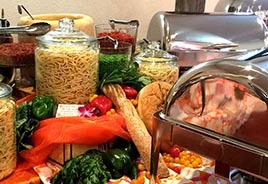 From cocktail parties to buffet style entrees, we can create a custom menu that your guests will crave for years to come. When it comes to your special event, we strive to create a memorable event that focuses on the details. 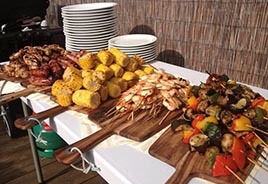 We can help decorate and plan your event as well as provide delicious food items. Contact us today at (813) 855-1100 to learn more about our banquet halls in Tampa, FL. 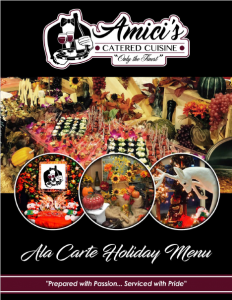 Click on a menu image to view the PDF version of the menu in full size or to download and print it. Contact us today or browse our catering menus to get more ideas for your upcoming event. We serve clients throughout Tampa Bay, Florida, and the surrounding areas.